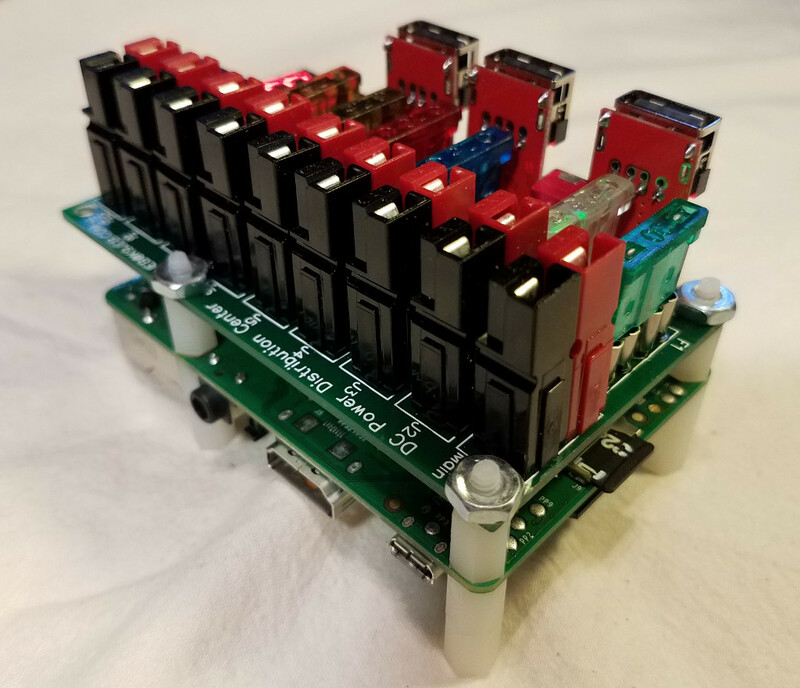 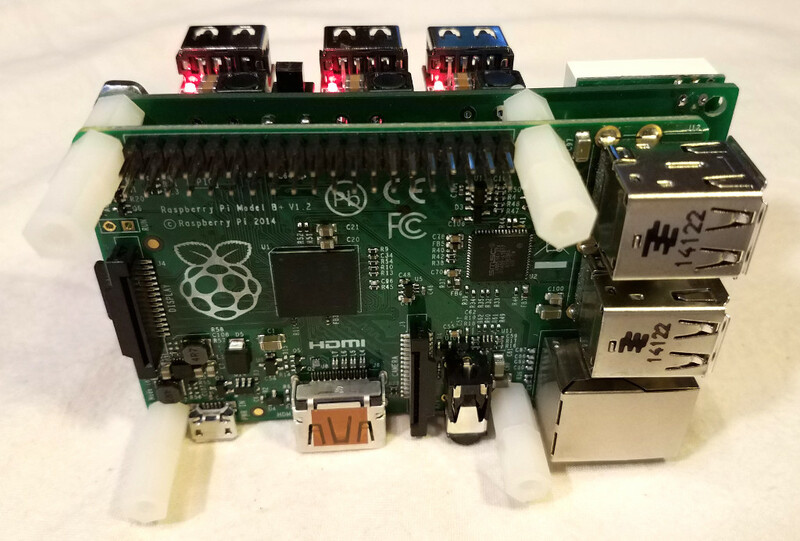 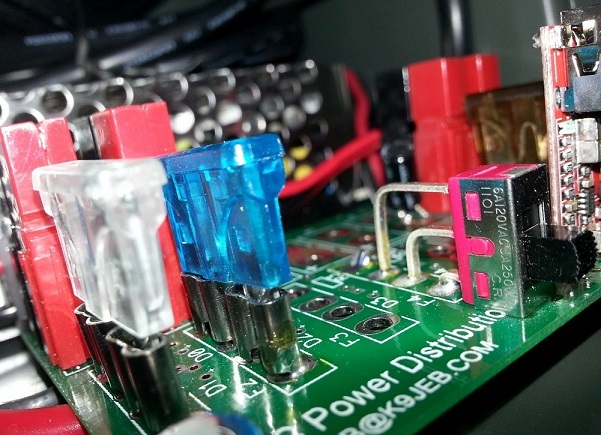 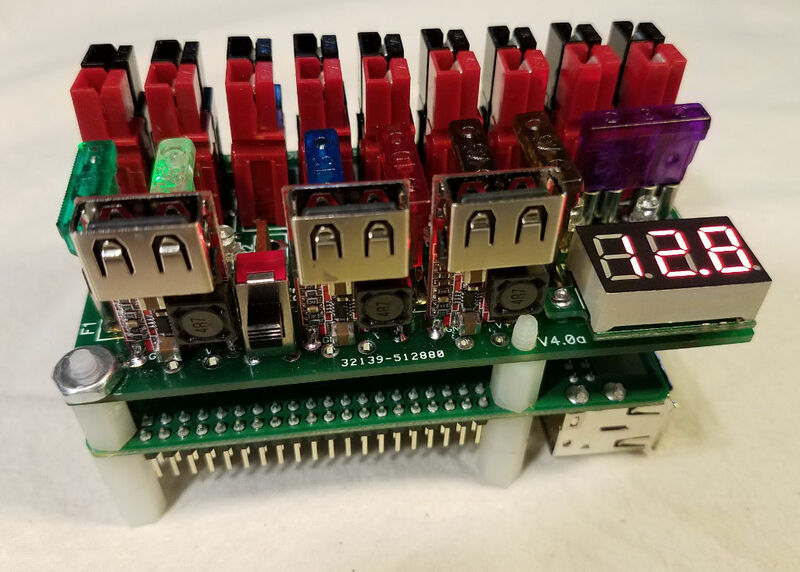 Power a whole stack of up to 10 Raspberry Pi Computers with this one single DC Power board! 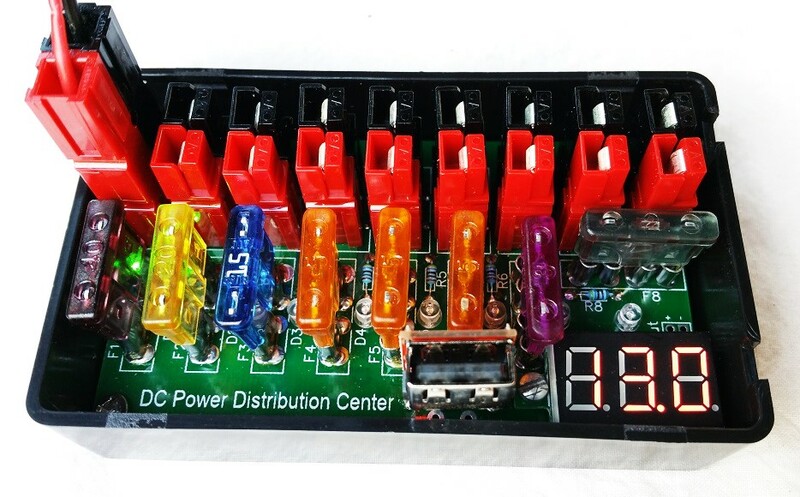 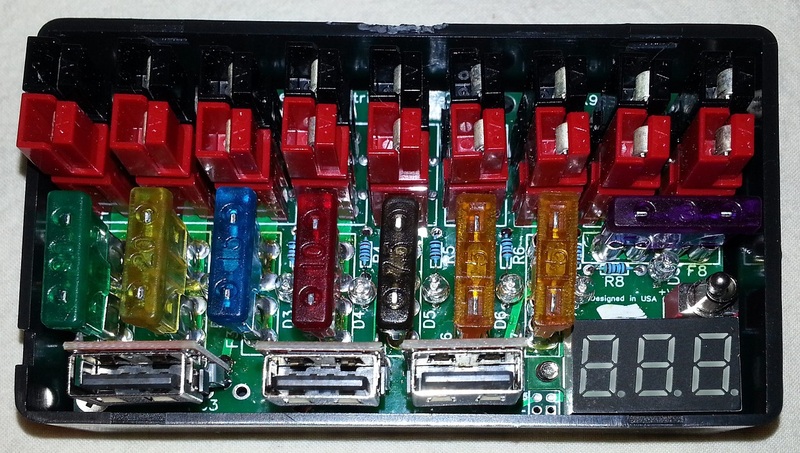 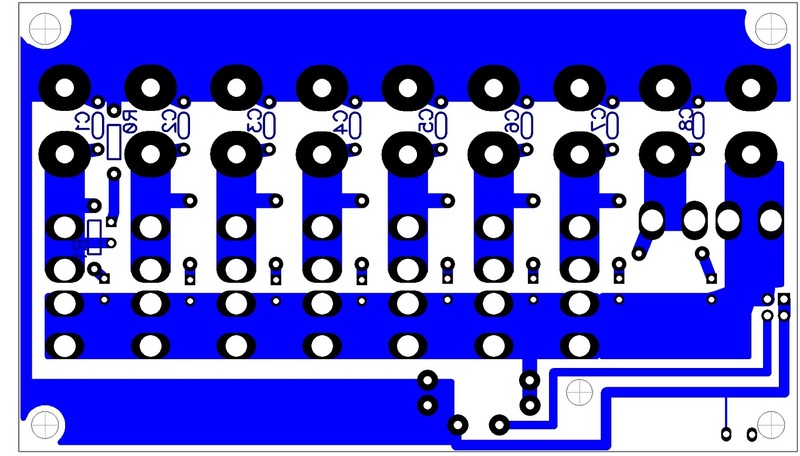 Up to 10 Power Modules - USB, Step-Up/Down - Choose the ones you need! 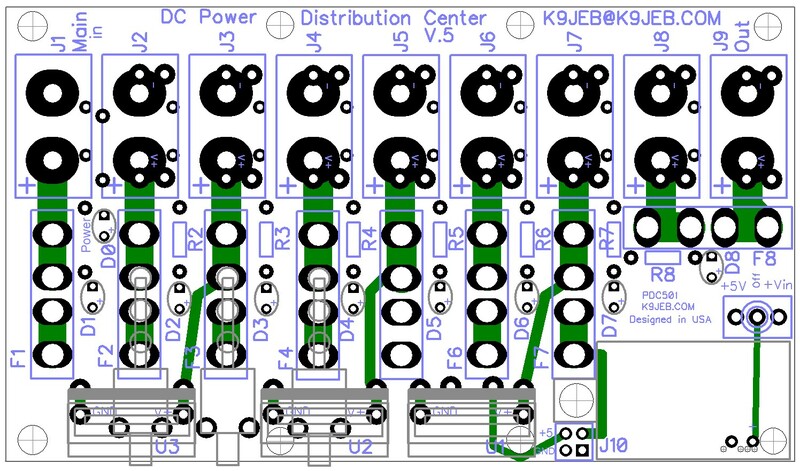 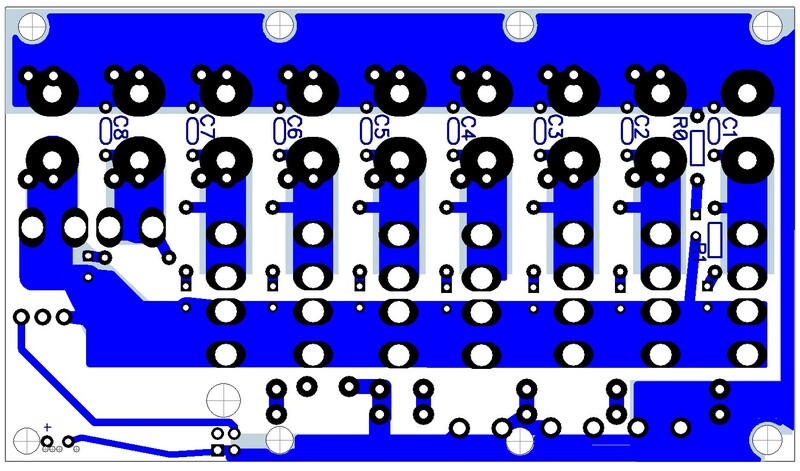 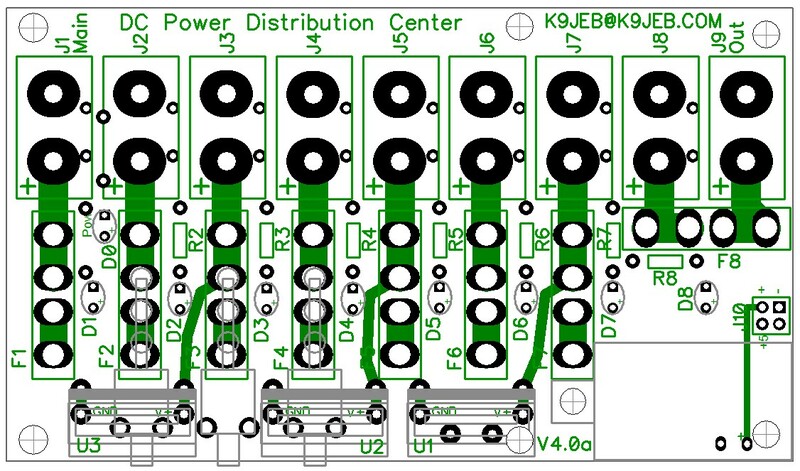 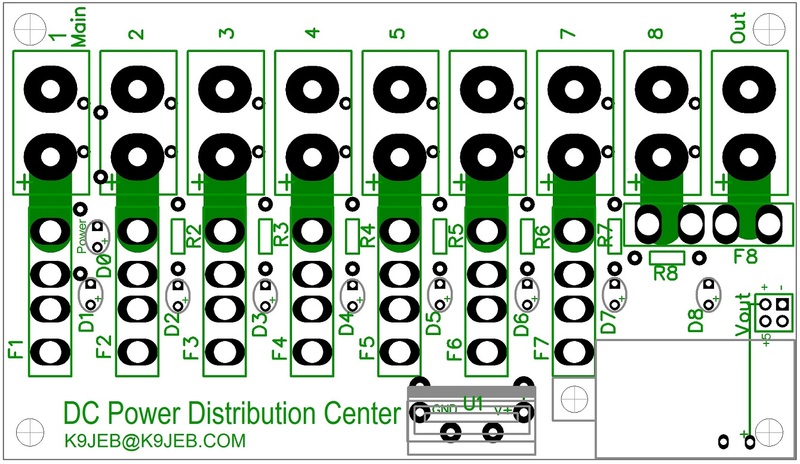 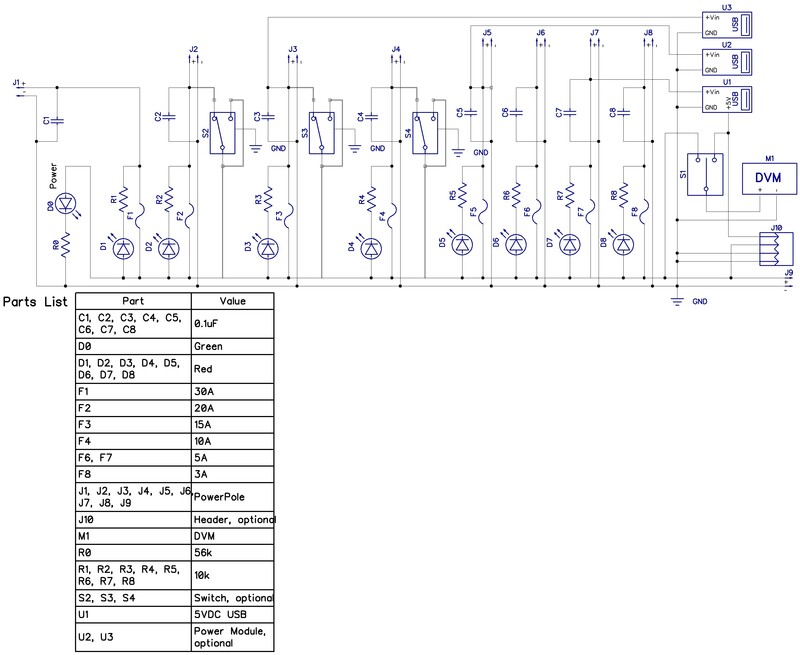 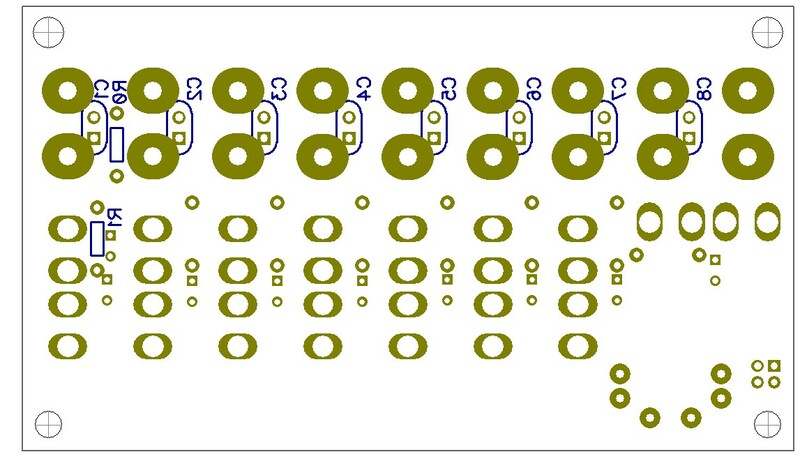 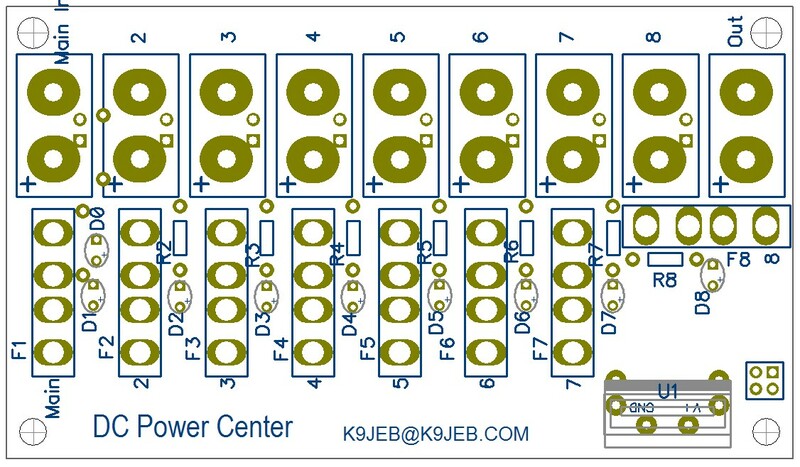 Note: the switches for J2 and J4 outputs are in the same physical location as the optional U2 and U3 power modules so it's Either/Or but not Both. 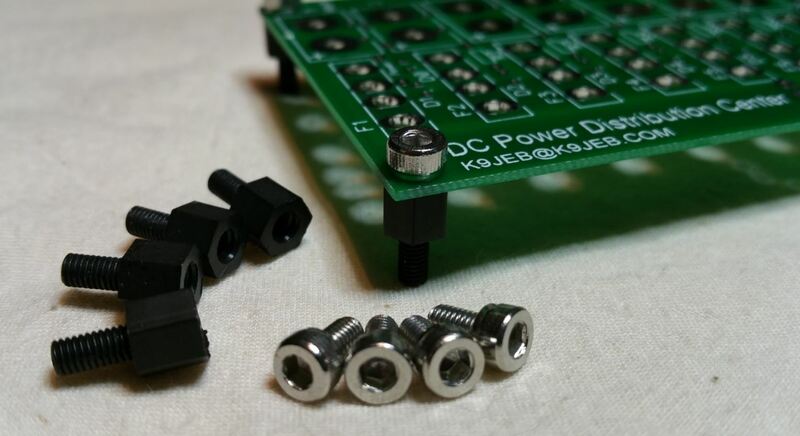 Project box Dimensions: 3.75" x 2.25" x 1.5"
These compact lightweight switching power units can be used to charge gel-cell batteries or directly power radios 25W and under. 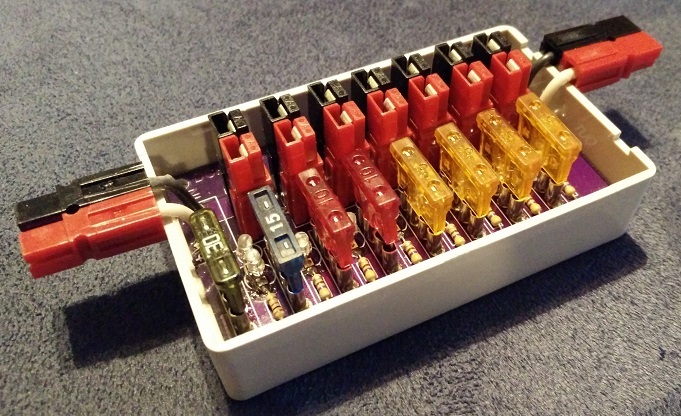 They fit conveniently in a Go-Kit! 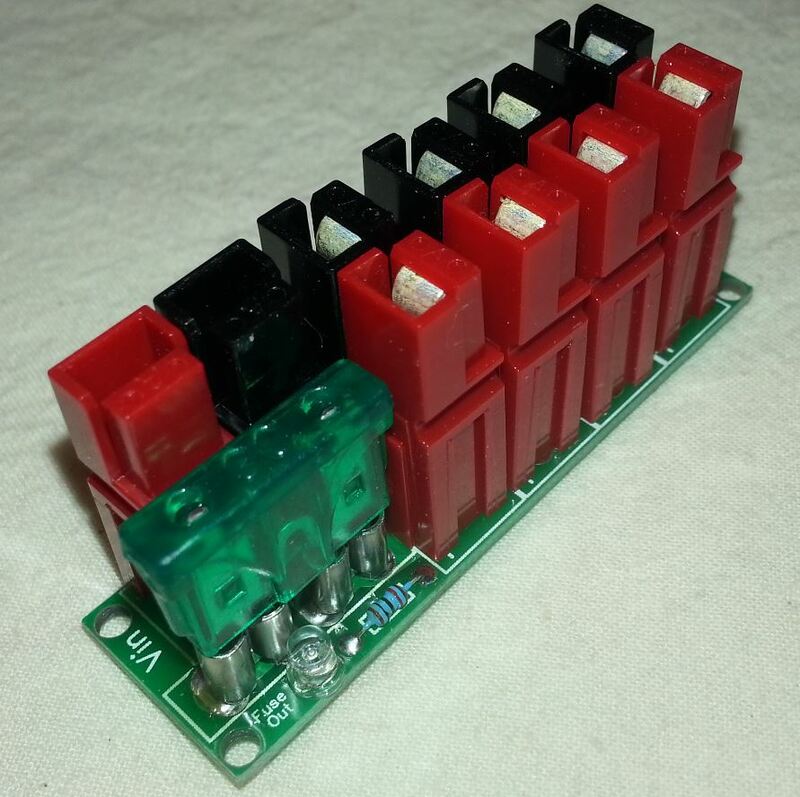 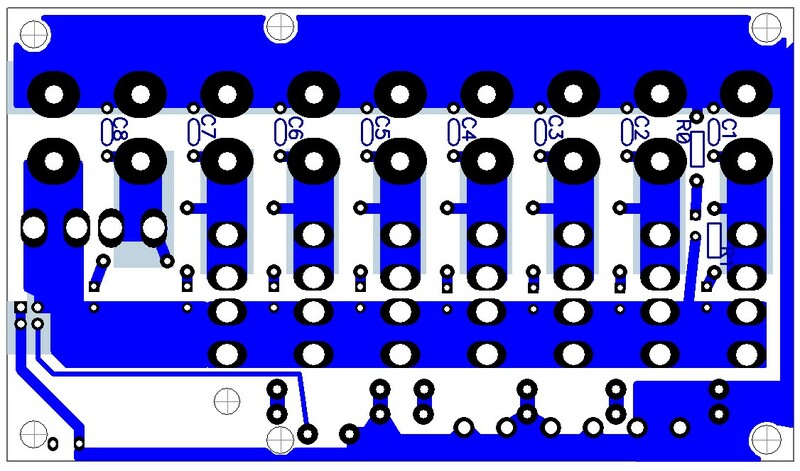 Mount a C&K slide switch directly on the board, replacing the fuse, to switch on and off an output to a device. 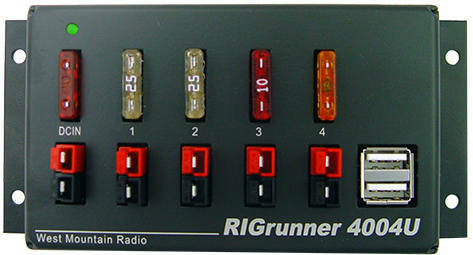 Or you can always get a nice RigRunner with only 4 outputs from West Mountain for $80 (plus shipping)... :-) or Order the PDC with more outputs and options, and even save money!